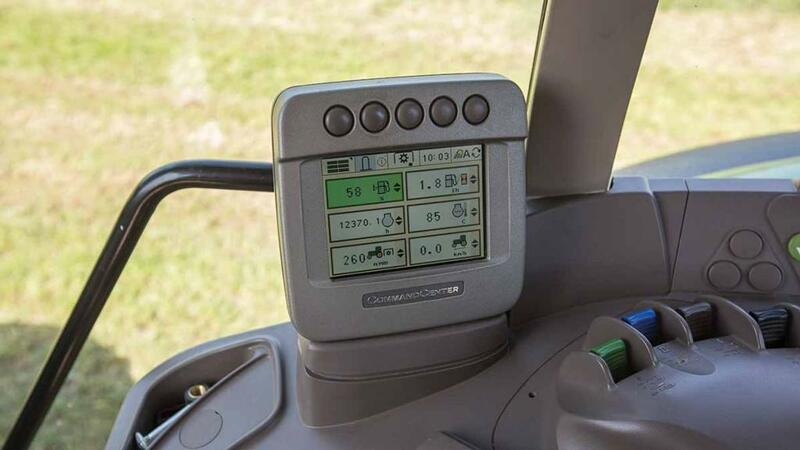 Modern tractor performance can sometimes be strangled by emissions regulations, but a growing number of operators are seeking out engine remapping to extract a better level of performance and efficiency from their power units. Geoff Ashcroft reports. High-hour reliability has not been compromised at Alvis Contracting as a result of engine remapping. Tuning engines has been practised ever since the internal combustion engine was created. For tractors, the process was once achieved on the injector pump where a turn of the screw simply increased the fueling, often accompanied with a generous puff of black smoke. But the advent of electronic fuel and air management with the arrival of common rail diesels has made engine tuning a much more precise process. Done sensitively, an increase in power no longer needs to be accompanied by a cloud of black smoke. There are two schools of thought. One is to adopt a tuning box which in its crudest form simply increases fuel pressure and this can create a corresponding increase in turbocharger boost pressure. Dyno testing before and after gives customers peace of mind with power output. A tuning box offers appeal through its ability to be quickly fitted and removed. And vanishing without a trace allows the tractor to revert to OEM factory settings offering appeal for those concerned about warranty-related claims on newer metal. The second process is to modify the original air and fuel ‘maps’ which the engine’s electronic control unit refers to for injector opening, timing, fuel quantities, air volumes and exhaust gas temperatures. This process is more commonly achieved by plugging a laptop into the on-board diagnostics port and accessing map files. It is this latter process which Nick Heyes of Wigton-based Ecopower Group, has employed for numerous years, making subtle alterations to provide more power and efficiency without over-stretching and perhaps jeopardising long-term reliability. He is one of many modern-day tuners working on tractors, cars and trucks, where a tweak of the maps can give impressive results. 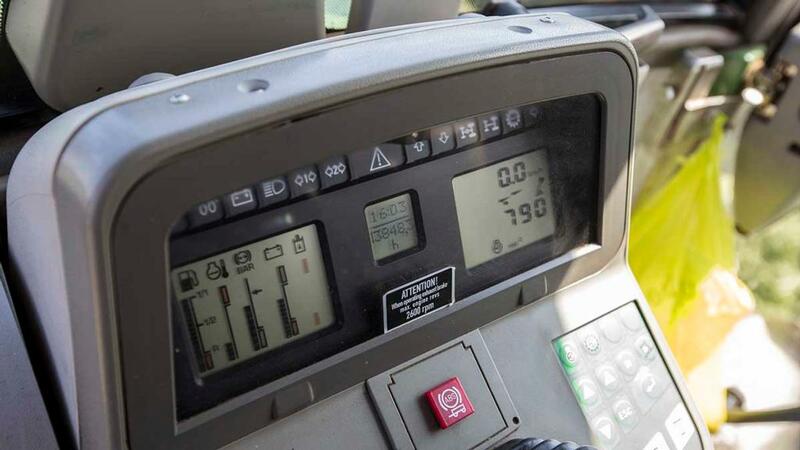 “A lot of operators complain newer tractors just do not pull like their previous model,” he says. “Two identical tractors fresh off the production line can give different levels of performance. 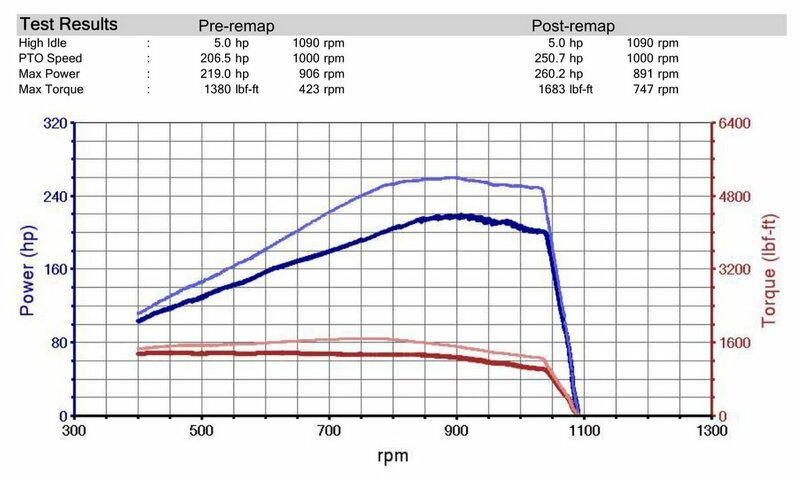 Five minutes on the dyno show off a remap's work, note rpm quoted is pto speed. Figures left are pre-mapping (see graph, darker curves) and right post-mapping (lighter curves). 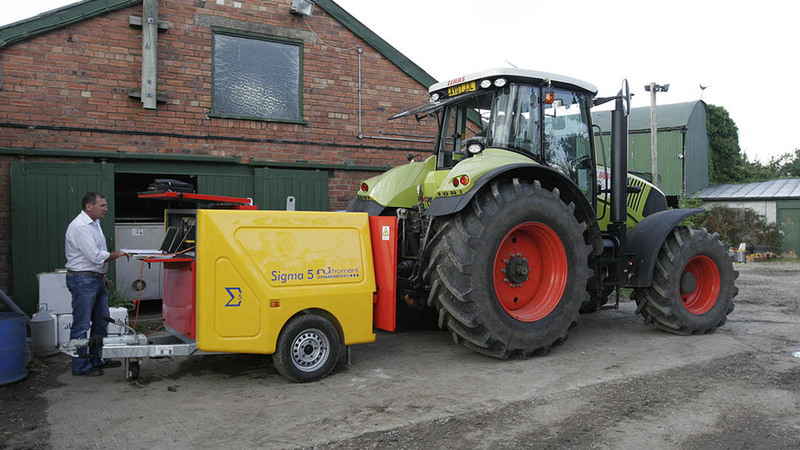 Using a dyno, Mr Heyes removes any guesswork customers have, as they try and convince themselves the tractor must be better given the money they have just spent. “A properly adjusted map can alter the power and torque delivery in many ways. In addition to increasing performance, the power and torque can be subtly tweaked so both arrive at different points in the rpm range. This way, they can see exactly what they get. “We work in safety parameters from in-built exhaust gas temperature monitoring and torque sensors to avoid creating engine hot-spots. If you just cram in more fuel and jack up the boost you will get more smoke and the back of the engine will run hotter as it is the point which is furthest away from the water pump. “We do much more than just adding fuel. A properly remapped tractor will not reveal itself through smoke. Daniel Harding of Alvis Contracting says remapping has restored power and put it higher up the rpm range, where it should be. 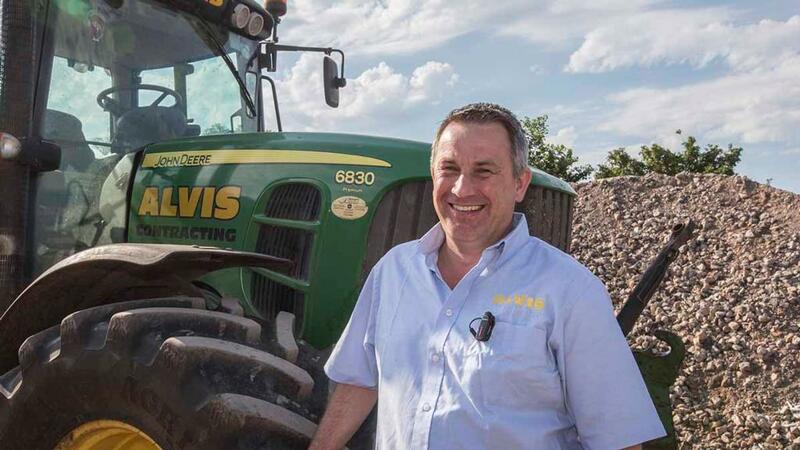 Long-term reliability of remapped tractors has been thoroughly tested by Alvis Contracting, a business run by Daniel Harding, Lyecross Farm, Redhill, Bristol. It still operates three JD6830 tractors, fettled many years ago, which are now wearing more than 10,000 clock hours. It also shows the kit is serviced and looked after properly, and operated with a degree of sympathy by a professional team. This 6830 was warmed up to 200hp once the warranty period expired, and is still putting the hours in (see clock hours below). The general contracting business operates a mixed fleet of 15 tractors comprising John Deere and Fendt, plus four Claas self-propelled foragers. And with the exception of its two combines, Mr Harding has made it a matter of course to remap almost all its power units. This 6830 is rapidly heading towards 12,500 hours. “You would see a gap in traffic and go, but the throttle response was so tardy you had committed to a manoeuvre which was suddenly going to take way longer than you had space for,” he adds. 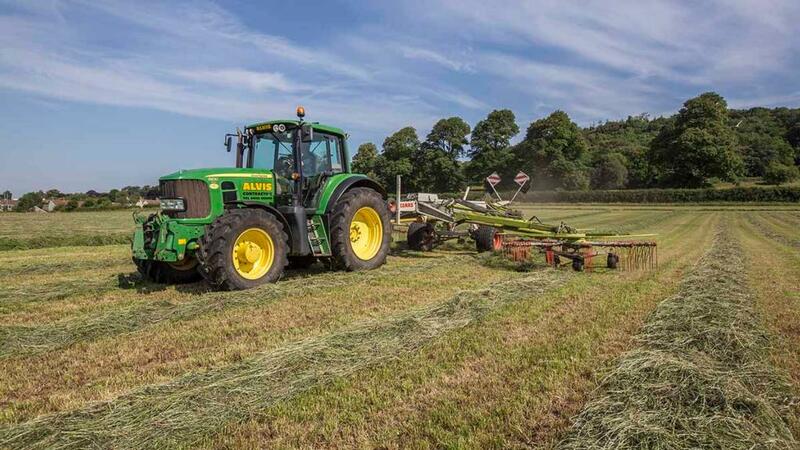 While cynics might suggest buying a more powerful tractor in the first place, Mr Harding believes relatively lightweight but punchy tractors can fulfil many roles in the business, compared to heavier more powerful brutes. And smaller, lighter, lower powered tractors are also considerably cheaper to buy than their bigger stablemates. “We want our kit to tread lightly on the moors and the Somerset Levels, particularly when carrying out fencing and field maintenance. 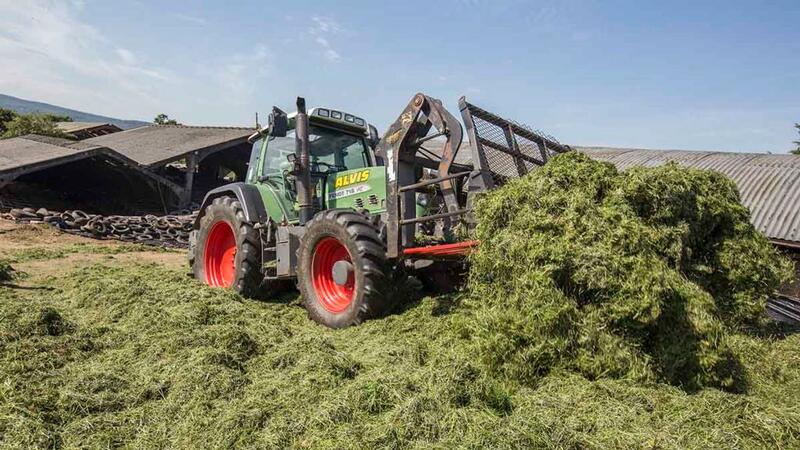 But we also need grunt the right places when we are hauling silage, muck and slurry tankers. 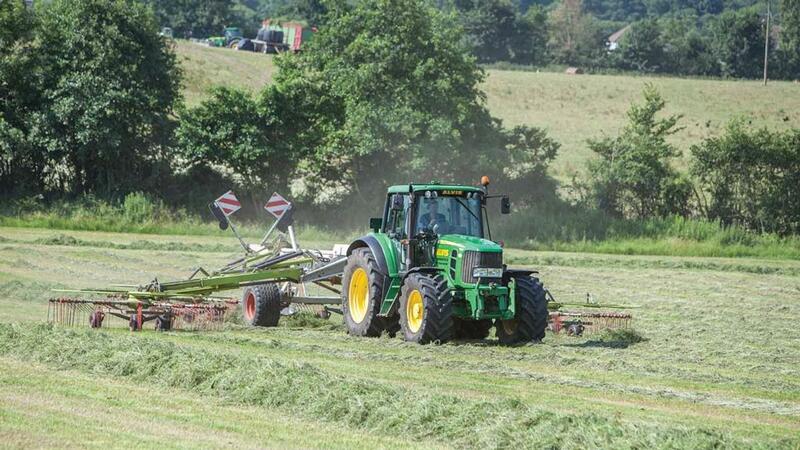 “We have seen how tractors have become bigger, heavier and more numb, so we have to work round a lack of torque and a largely gutless level of performance with modern engines,” he says. Eight-year old Fendt 718 continues to perform well, despite nudging 14,000 clock hours (see below). Alvis Contracting’s first batch of three JD6830s and a JD6930 with a front-end loader were eventually warmed up to about 180hp. Based on their success and reliability, the second batch of three JD6830 tractors, which arrived in 2011, were pushed up to 200hp, once the warranty period had expired. “We are not after a carte-blanche power hike. A map allows different states of tune to be applied and we have to have reliability too so there is no point in being greedy and chasing headline figures,” he says. A little fettling for the 2009 Fendt 718 has not prevented it from knocking on the door of 14,000 hours. The fleet’s three remaining JD6830s are still hard at work and long past 11,000 hours. And a 2009 model Fendt 718, which has also succumbed to some fettling, is knocking on the door of 14,000 hours. “We probably have kept them a bit too long in depreciation terms, but they have been solid,” he adds.